If you’re shipping items that can’t easily hold a shipping label, such as irregular items, then pre-wired shipping tags are a perfect option. These heavy-duty tags can quickly and easily be attached to just about any product, and feature strong reinforced eyelets that resist tearing and stay in place. We offer durable shipping tags that are available in a wide variety of different sizes, styles, and colours. They’re constructed from strong materials and we even offer options that are moisture, chemical, and mildew resistant. Whether you’re looking to colour-code shipments or just identify them, we have the products that will work for you. 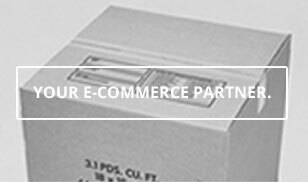 At the Packaging Company, we pride ourselves on offering an extensive variety of shipping and packaging items. We know that the needs of every business are different, but we also know that no business wants to spend significant time and effort to find the materials they need to get work done. That’s where we come in. We offer an incredibly diverse product line because we’ve made it our goal to have what every business needs to succeed. When you’re looking for shipping tags or any other items to get the job done, you can trust the Packaging Company. Our dedication to quality and customer service is solid and we want to help you succeed in any way we can. When you purchase pre-wired shipping tags or anything else we sell, you can feel confident in your purchase. These tags will stay strongly attached and will clearly display the relevant information they need to. Their ease of use means you won’t spend time fumbling with them, so your company will be more productive and get work done faster. If you have any questions about anything we sell, do not hesitate to contact us today. Our dedicated team is here for you to assist in any way we can.